An itinerary along which you can admire the precious archaeological finds of the National Museum of the Duchy within the Rocca Albornoziana, the extraordinary polychrome mosaics found in ancient noble palaces, the finely worked sculptural remains spread in the churches of the city, first of all the Basilica of San Salvatore, one of the main Lombard monuments of Central Italy and a World Heritage Site since 2011. 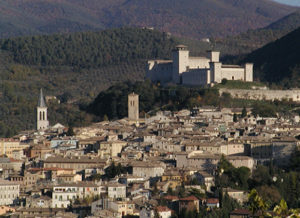 You will have an opportunity to immerse yourself in the glorious past of Spoleto, the capital of one of the most important Duchies established by the Lombards in Italy, and to deepen your knowledge of this people still mysterious but fundamental for the history and culture of Italy and Europe. Besides the Clitunno Tempietto, a masterpiece of religious architecture of the early Middle Ages included in World Heritage List by UNESCO, the itinerary allows you to admire other precious testimonies of the Lombard period: the finds of the necropolis of Santa Maria di Pietrarossa, currently preserved in the Museum complex of San Francesco in Trevi, and the Abbey of San Pietro in Valle in Ferentillo, closely linked to the history of the Dukes of Spoleto, a true jewel of art embedded in an unspoilt environment. 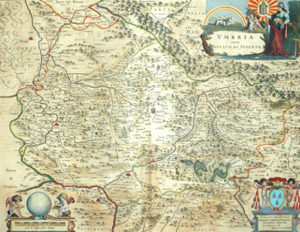 The itinerary, that runs along the Valle Spoletana and Valnerina, allows you to experience the “culture of the place”, where artistic and cultural aspects combine the splendid views of the Umbrian landscape, the typical oil production, wine, cereals and legumes, which evoke an authentic atmosphere from the lively call of medieval times.